Honeywell today introduced the next-generation Kromschröder BCU 4 Series, an all-in-one control solution for multi-burner applications. Replacing an earlier product line, the BCU 4 Series 460, 465 and 480 models incorporate a range of refinements and new features designed for simplified engineering, installation and start-up. They also provide various options to increase utility and effectiveness of the control solution – including a space-efficient design that allows the unit to be mounted close to a burner versus in a separate cabinet, enabling better system integration. The BCU 4 Series offers industrial designers, engineers, operators and service technicians a multi-functional, modular control solution. It is designed for directly ignited or pilot/main burners of unlimited capacity in intermittent or continuous operation, and for modulated or step-controlled gas burners. The BCU 4 Series was developed for furnace builder original equipment manufacturers (OEMs), burner manufacturers and end users in sectors such as metals, ceramics, food and automotive. The BCU 480 can monitor pilot and main burners independently. The BCU 4 Series comes equipped with an ignition transformer, burner control and an embedded human machine interface (HMI) – all arranged within compact housing. The four-digit display shows vital information such as program status, unit parameters and flame signals. All models possess a manual mode to adjust the burner and its diagnostics. The control solution fulfills the requirements of the most important industry standards and has Industrial Internet of Things (IIoT)-ready PROFIBUS, PROFINET and EtherNet/IP network connections. These connections enable faster connectivity. 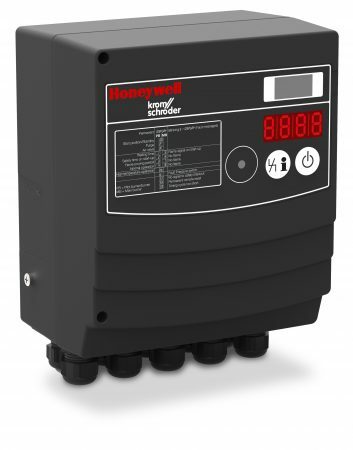 For more information visit Honeywell Kromschröder BCU 4 Series.